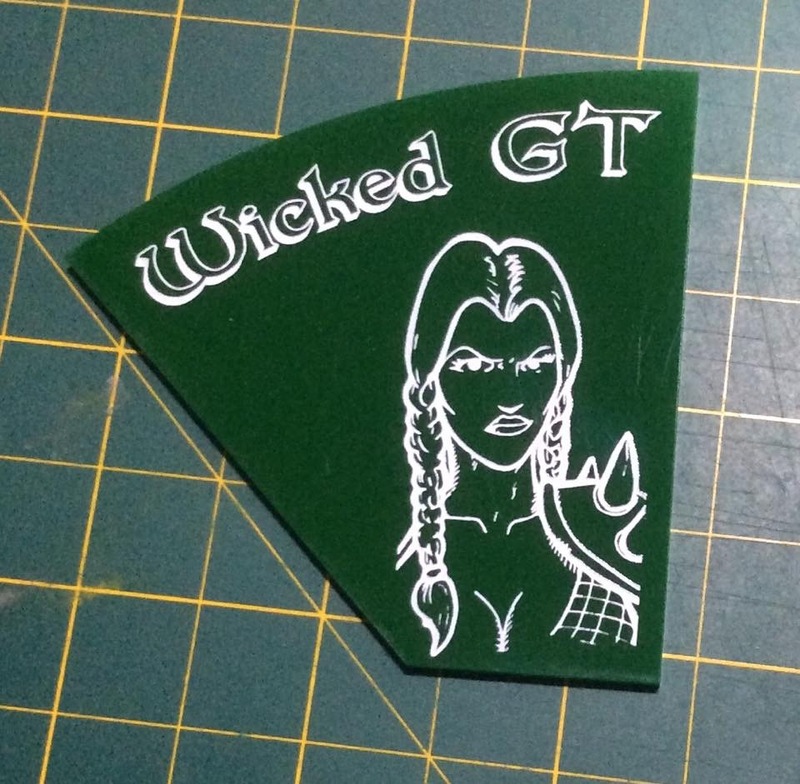 Wicked GT Countdown – 5 days and counting! We are now just 5 days from the opening night of the Wicked GT! Lots of stuff to cover so I’ll get straight to it!! The excitement is rising and the anticipation is building! This Friday can’t get here quick enough! – Best General Categories! It seems like there’s been some confusion surrounding the Best General categories and how they came to be and also how these categories coincide with Swedish Comp grades. Let me address this right here and now and say this – THE SWEDISH COMP GRADE THAT YOUR ARMY RECEIVED HAS NOTHING AT ALL TO DO WITH ROUND 1 PAIRINGS. YOUR GRADE WAS USED SOLELY TO DETERMINE WHICH CATEGORY OF BEST GENERAL THAT YOU WOULD FIT INTO. That said, we have broken down the Best General Categories into Wicked Witches, Tin Men, and Scarecrows. Note that 1st place in EACH of these categories will receive a trophy for coming out on top of all other armies within their category. After going through each army list and giving each one a grade, the Best General Categories are broken down like this: Good luck to all the Army Generals!!! – The official Wicked GT 2015 Players Packet has been revised in some areas. You can check out the latest revision by visiting here! The changes are in red. – Player Packets! Attached are the gems and arcs of visibility that each player will receive upon completing registration. There are 5 wound markers, 5 warpstone tokens (to be used in one of the scenarios), a blue gem that has your Player Number (for use in raffles) and a token for the Tin Man, Lion, and Scarecrow (also used in a scenario). These gems and gem bag, as well as the arc, are yours to keep after the GT. Use the wound markers for your own games in the future and if you’re a skaven player then the Warpstone tokens should come in handy too! In addition, each player will have a folder that contains the players packet, your army lists, a lores of magic reference sheet, and the sheets needed for sportsmanship and after each game. You will receive all of this when you get to the registration booth. 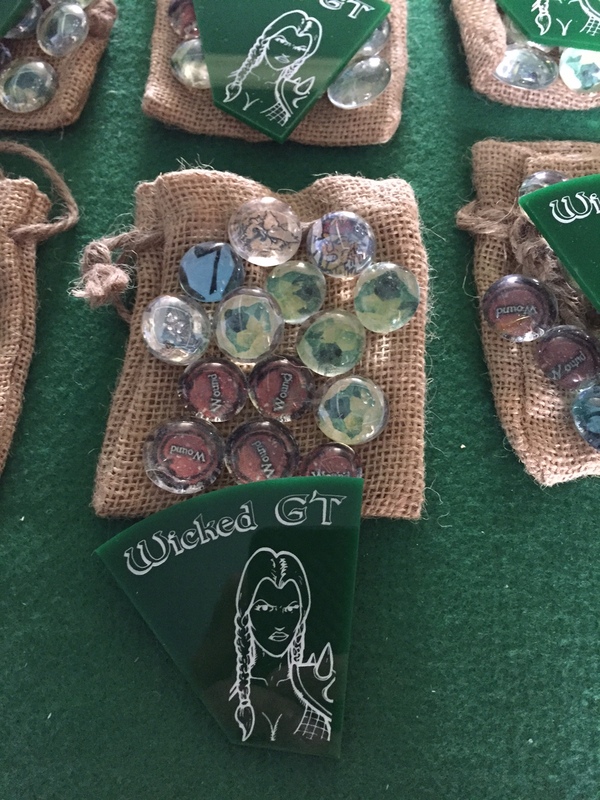 Lastly, you’ll have your very own lanyard that comes with all your pertinent information for the Wicked GT! Take a look! Don’t forget that registration begins at 5:00 PM on Friday, May 15th! If you want to come up and do some open gaming please feel free! It’s gonna be a great time. Please let us know if you have any questions!!! 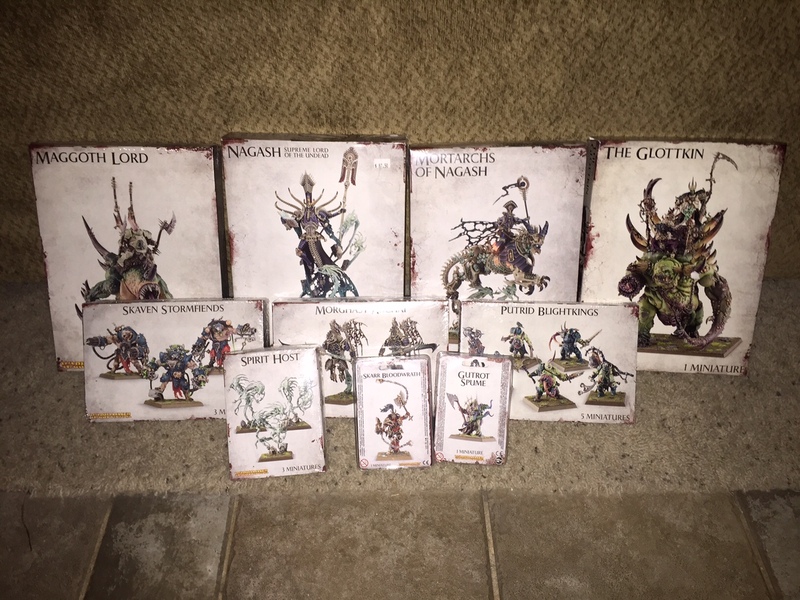 This entry was posted in General Updates and tagged Applied Perspective, Bits of War, End Times, Grand Tournament, kromlech.eu, Warhammer Fantasy, Wicked GT. Wicked GT Countdown – 10 days to go! We are now just 10 days from the opening night of the Wicked GT! We are continuing to make last minute preparations for all that we need to make this GT a success. Currently, we have 30 generals ready to do battle on Saturday and Sunday! Make sure to get your last second items done and ready to go! It’s going to be great! – Schedule! I wanted to add this to the top post in order to spread the word on how the schedule will work. Upon arriving at the Best Western you can make your way back to the game room (we’ll have signs posted) and take care of your registration. We’ll have a folder, some goodies to hand out, and your table assignment so you can then proceed to your table and set up your army if you’d like. We’ve worked with the hotel and they are going to lock the room overnight so you are free to leave your stuff there on Friday night (if you show up early to register) and / or Saturday night. The venue will be available for early registration beginning at 5:00 PM on Friday, May 15th and will be open until midnight for you to register. There will be open gaming as well so bring your armies! Otherwise it will be general BS’ing and hanging out. Come on up and have a beer! – Army Lists! There have been a few people ask to make some last second changes to their list and that’s ok. I’ll do my best to accommodate any changes that need to be made but I’ll have to draw a line in the sand at some point (probably 3-4 nights before the GT) so that I can begin printing them out to add to your players packets. If you have any changes please let me know sooner rather than later so we can do our best to accommodate you. Thanks! – Custom Arcs of Visibility! Thanks to Adam over at Applied Perspective! 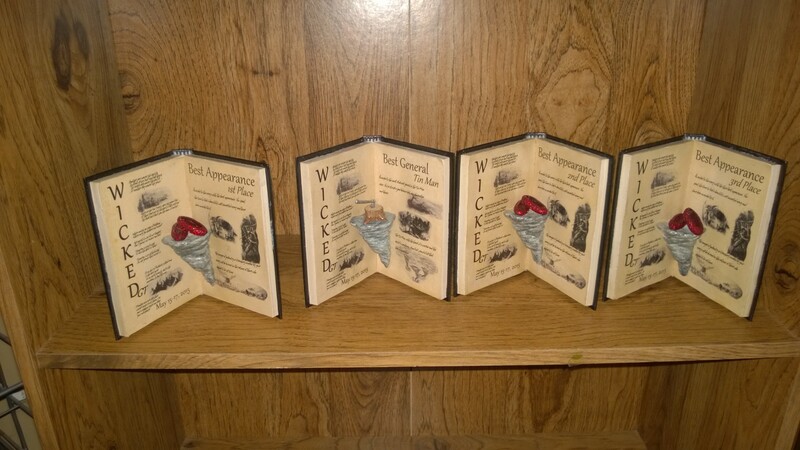 He was able to work with us and create these customs half arcs of visibility so that we can hand out during the Wicked GT. Every participant in the Wicked GT will walk away with one of these in their players packets. You can use these for all of your games throughout the weekend! Just another little something we’re handing out as a way of saying thanks for making the Wicked GT possible! Check it out! – Raffle! Everybody that signs up at the Registration Table will be given a number on a gem. This number will be your number for the raffles that we’ll be holding all weekend long after each game so make sure to keep this gem close to you in case your number gets called! We will hand out a few items after each game so don’t wander off too far! There’s gonna be plenty to hand out! – Scenarios: All 5 scenarios are now complete and have been posted. You can find them by following this link! – Beer! : The keg has been ordered and the bartender’s table is ready to go. We’ll have a keg of bud light on hand that is free with your entry fee. Additionally, we’ll have some simple cocktails that you can get if beer isn’t your thing. We’ll continue to hand this stuff out until it runs out! Remember to drink responsibly and don’t forget that tips are always appreciated! – Concessions: We’re going to have a small concession stand set up as well. This will have bottles of water, cans of soda, chips, candy bars, etc that will be available for sale. It’s going to be cheap so make sure to have some dollars and change on you in case you need a small snack to get you through the game! – Golden Toto Painting Competition – Get your entries painted! We’ll have a separate painting table in which the judges will be looking over all entries and we will do our best to get this done in a timely manner in order to have your models back to you as quickly as we can. In addition, the winners prize support has been provided by Bits of War so each winner will get product provided by http://www.kromlech.eu! Thank you to our great sponsor, Bits of War! Wicked GT less than 3 weeks away! News & Notes! Wanted to give another quick update to let everybody know where we are at! We’re currently just under 3 weeks away from the first ever Wicked GT! Trophies are being completed, beer has been ordered, and Golden Toto entries are being finished! Make sure you are ready to go and let us know if you have any questions before the start date. – WIP Trophies! Chris McArthur has been working hard to get the trophies completed for the Wicked and his hard work is paying off. We have a WIP picture of some of the trophies. Remember that each winner will get these as well as either product / gift cards! Excellent work, Chris! – Prize support! We’ve been given more prize support now and wanted to share with everybody all that we’ve gotten so far. Note that we are having a raffle and a lot of this stuff will be handed out in the raffle and as door prizes. We’re doing our best to give back all that we take in (and more) back to the players! We’ve received the bases from Secret Weapon Miniatures and they include a 10% off checkout code so make sure and get you something after the Wicked GT! Check this out!! 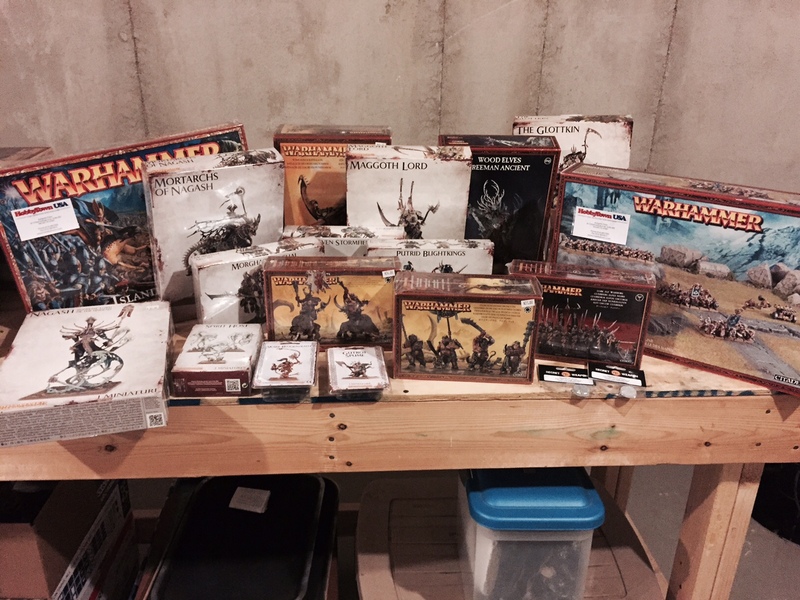 – Army Lists: I’ve received just about everybody’s army list and have graded all of them against Swedish Comp. Remember that we’re grading them solely for categories for the Best General. I’ll be sending out emails to everybody soon to let you know what your comp score is and what weight class you’ve been assigned. If you haven’t gotten your list in (you know who you are!) get your lists in to thewickedgt@gmail.com! – Golden Toto Painting Competition – Several people have hit me up asking for specifics on the Golden Toto Painting Competition. Remember that this is a standalone event and is separate from the GT itself. You can enter up to 2 entries per category but you can only win once per category. I’ve heard from at least 8 people about so I can’t wait to see some of the great paint jobs that we’ll see! Get your entries ready for the Golden Toto Painting Competition! The trophies have gone to print and they will be ready for the winners. In addition, the winners prize support has been provided by Bits of War so each winner will get product provided by http://www.kromlech.eu! Thank you to our great sponsor, Bits of War! This entry was posted in General Updates and tagged Bits of War, End Times, Grand Tournament, The Wicked GT, Warhammer Fantasy, Wicked GT.